I broke up with my girlfriend on Sunday. I got my Hong Kong I.D. Card on Thursday. The after-effects of those two events are still washing over me. I haven't quite digested them both yet, honestly. And today I signed a one-year lease on my place on Lamma Island. But the thing that made me stop in my tracks today was that enormous building-size advertisement for The Avengers (2012) in Mongkok/Prince Edward. 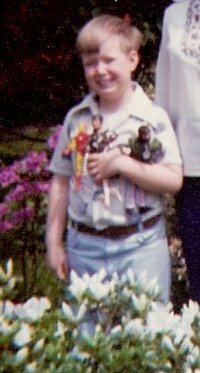 Nearly 40 years ago, I was playing with a Mego Iron Man action figure and now he's a mainstream movie character used to advertise this new film franchise. As I spent my youth devouring Marvel comics, I really never thought I'd see the day that an Avengers film would be a reality. Maybe I'm so excited because the preceding Iron Man and Captain America films were so good? Maybe, unlike those Fantastic Four pictures, this will actually be a real Marvel comics film epic? I'm in a city I love. I have a job that I like and which offers me opportunities for growth -- I'm going to Beijing on business next week -- and I'm living on Lamma Island. And, yet, the thing that fills me with giddiness is a stupid superhero flick!?! Yeah, inside, I'm still a 9-year-old, clutching a Mego action figure and stopping at 7-11 with my grandparents to buy comics and a Slurpee.